If You Don't Need Interface Builder. Experts Exchange > Articles > If You Don't Need Interface Builder. I don't like visual development tools that are supposed to write a program for me. Even if it is Xcode and I can use Interface Builder. Yes, it is a perfect tool and has helped me a lot, mainly, in the beginning, when my programs were small and trivial, when few standard GUI controls could be arranged easily on the basic view and, then, connected to my code objects in Interface Builder. At some point, though, the programs became a little bigger than a simple tutorial program, a little more complicated than one full-screen view with three labels and one button. Now I have to worry about having enough memory for my application and I so I now desire to eliminate everything related to Interface Builder. This article shows how to accomplish this using an easy and fast trick. 1. 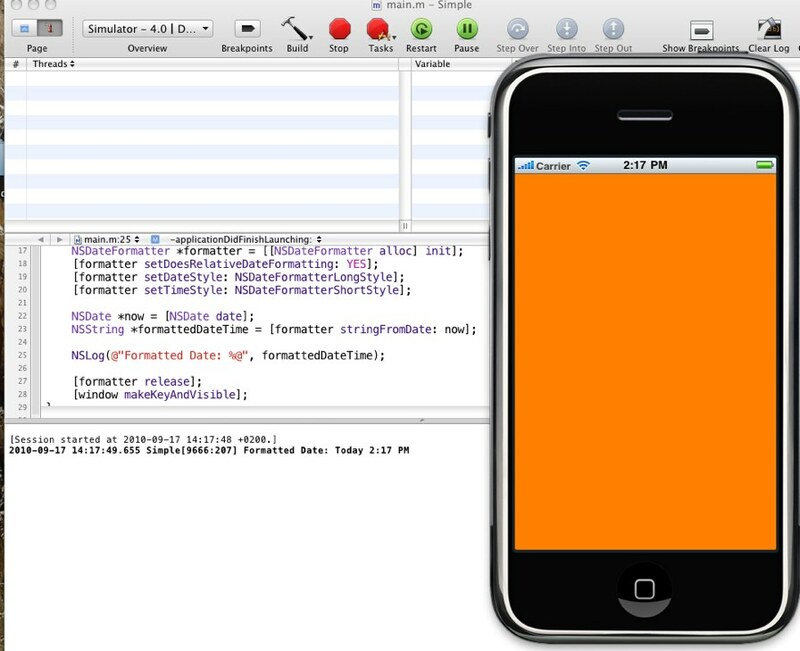 Create new iPhone window-based application project. 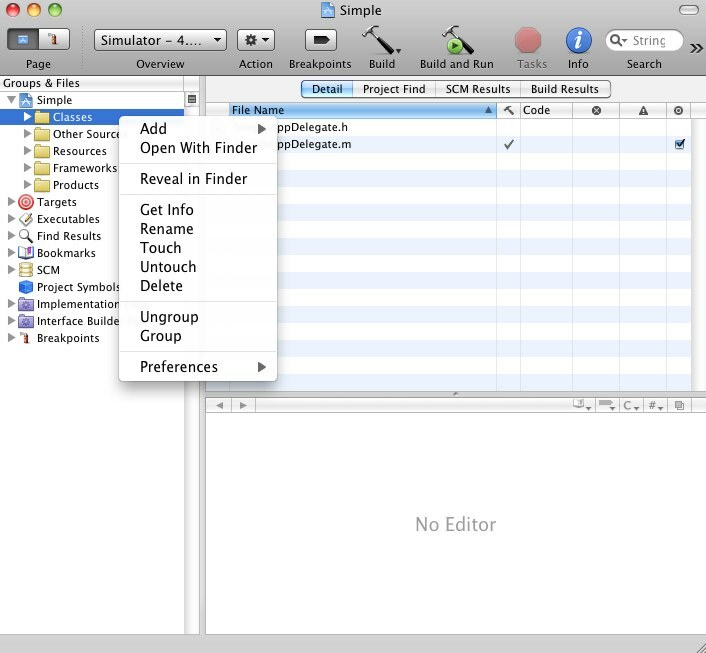 In Xcode, in menu File, select "New Project...". 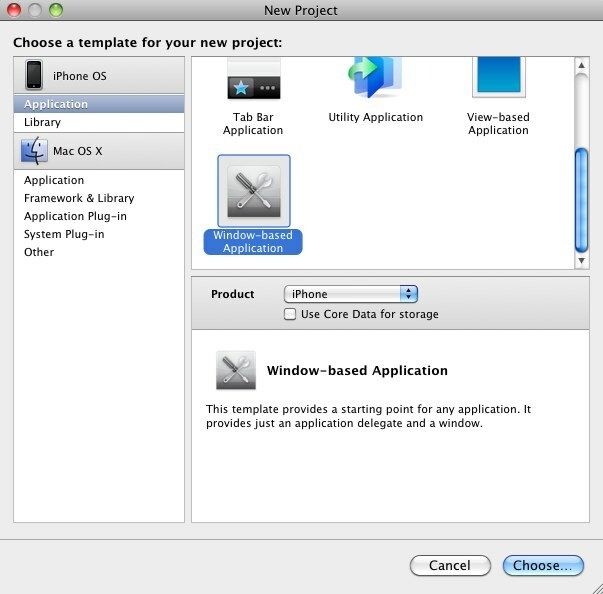 In the project wizard sidebar select Application in the iPhone OS section. Select Windows-based Application in the right panel and click on Choose button in the bottom-right corner. In the Save panel give a name for the project. For example, "Simple", and click Save button. 2. Delete Classes folder and xib-file. 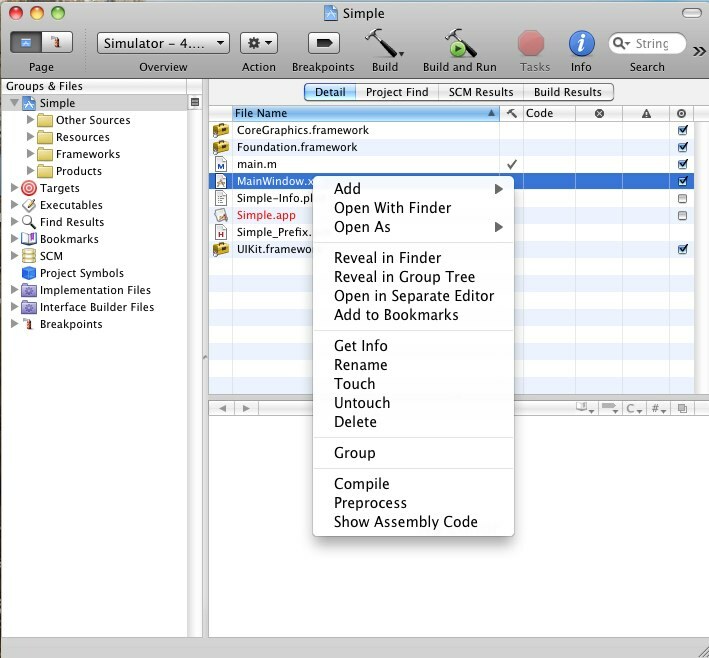 In Xcode project window, find Classes folder and delete it - select "Classes" item, click on the right mouse button and in the popup menu select "Delete". 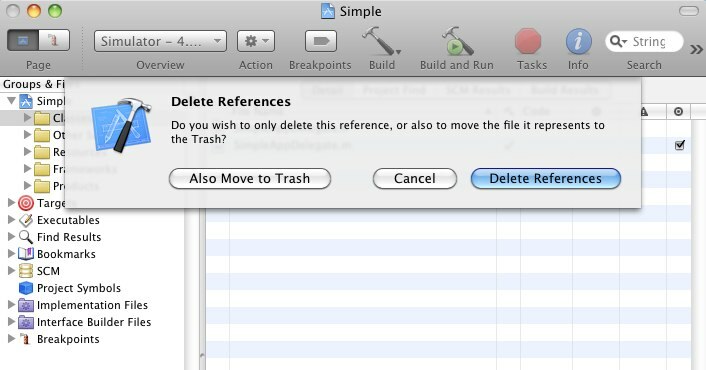 In the alert window click on "Also move to trash" button. 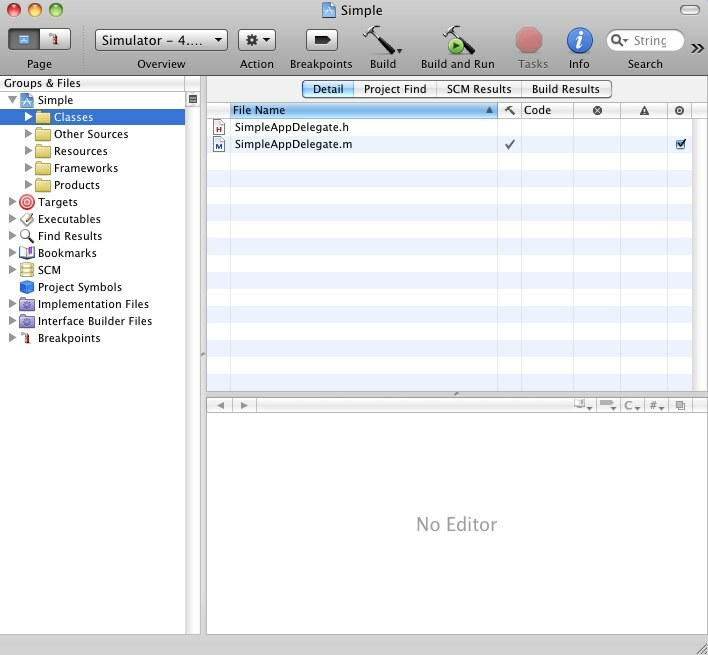 When the project (the most top item) is selected in the Xcode sidebar, on the right panel you see all project files. Find MainWindow.xib file and delete it too. 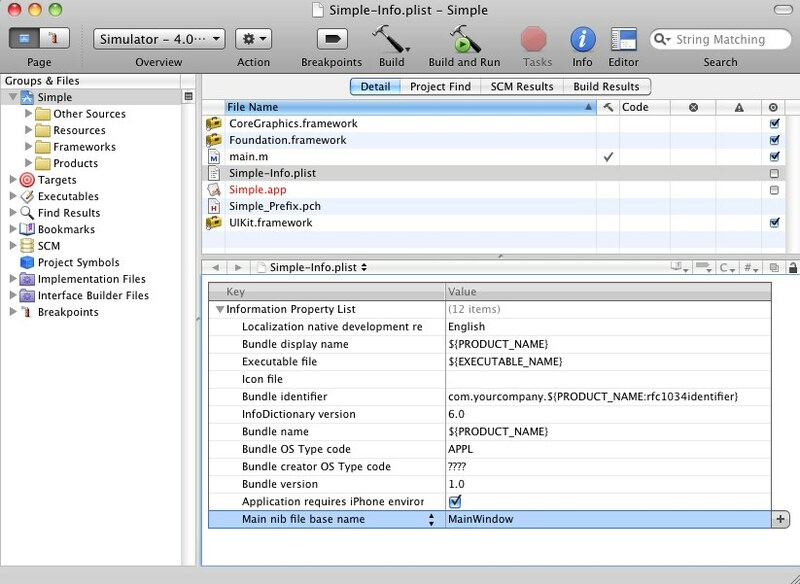 Click on Simple-info.plist file to select it. 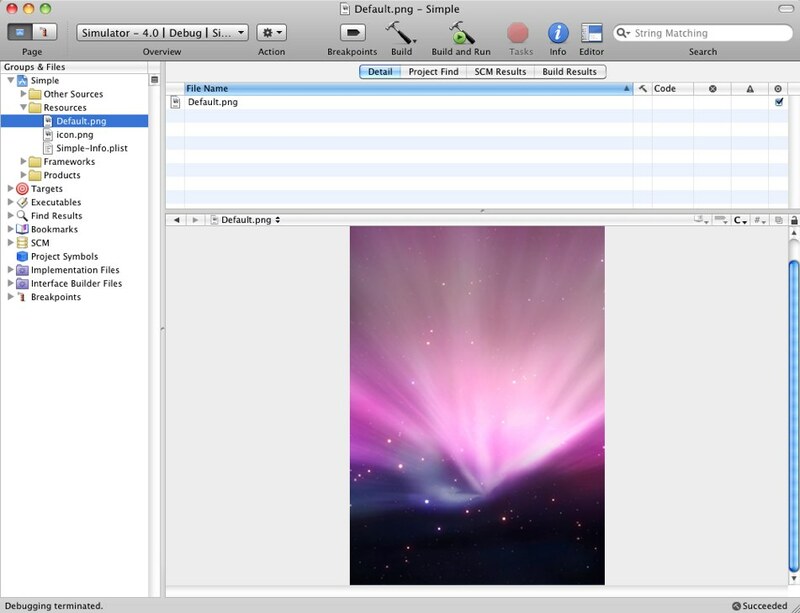 The bottom panel shows the file content. There is a line about the MainWindow.xib file: "Main nib-file base name". The last one in my file. Delete it. New application delegate class defined in the code above has name Simple. This name is used in the main function. 5. 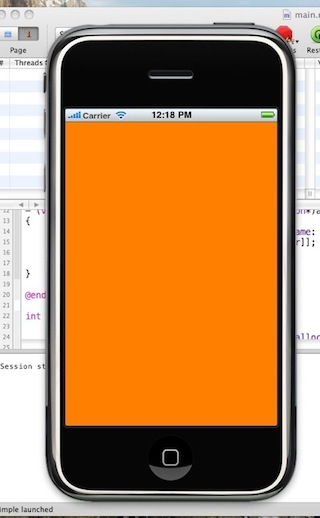 Run on iPhone Simulator. 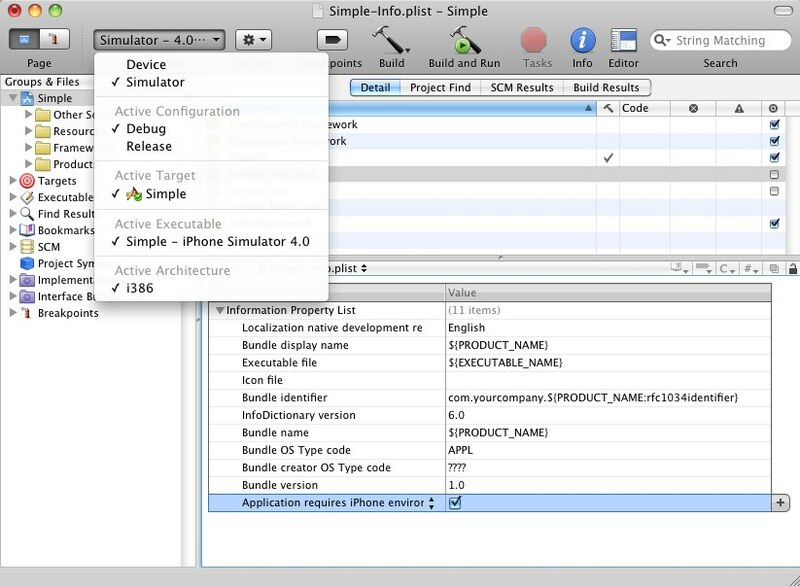 Be sure that the active configuration is Debug and Simulator is selected as the target device. 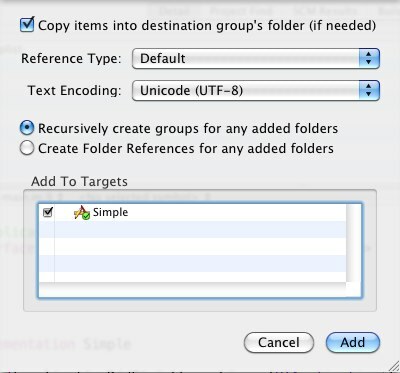 Popup button in the Xcode Toolbar allows changing the active configuration and the target device. Press "Build & Run" button to launch the program. I attached my icon.png file as an example. 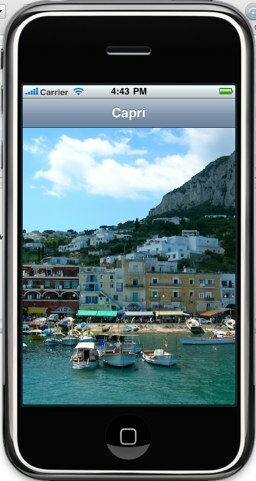 I attached also Default.png - this is another special image that is used by iOS without any coding required from the developer. Add this image to the project resources. Build and launch the application. 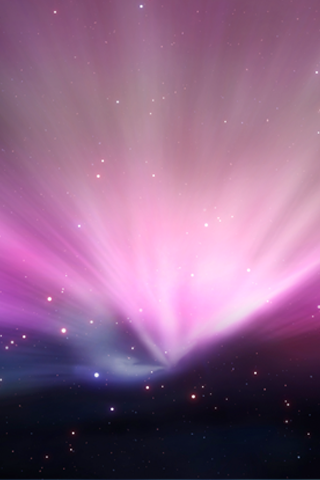 When it is loaded, this Default.png works as a splash screen. Everything related to Interface Builder was removed from the iPhone project. The source code is concentrated in main.m file. It is very convenient when I'm learning, when I need to check or to test something quickly - a language feature, new API or an idea.